Ian joined Clerksroom in January 2010 after practising from St Johns Buildings, Manchester since 2003. Ian has a General Common Law practice and is able to act in several different areas of practice although his particular expertise lies in Personal Injury, Professional Discipline and Regulation, Employment and Costs. Ian remains based in Manchester but is happy to travel nationwide and approximately half his court practice is in London. Ian is first and foremost a trial lawyer and has a particular reputation in this aspect of his work. He is fully authorised to accept direct access work and is further authorised to conduct litigation as well. Direct Access will be considered on a case by case basis but is most suited to Professional Conduct and Employment law matters. Ian has an established fast and multi track practice dealing with matters worth up to £1.5m. Ian's practice is split evenly between Claimant and Defendant. He has undertaken mediation training and represents Claimants and Defendants in these. Ian acts for both Claimants and Defendants in all aspects of Personal Injury including substantial amounts of industrial disease work ranging from asbestos-related claims to deafness and VWF/HAVS claims. He is very experienced in Road Traffic Accidents including claims involving the MIB and Article 75 and the Domestic Regulations with particular experience in credit hire and fraud cases from both sides of such litigation. Ian is well-versed and experienced in accident at work claims as well as EL/PL/OL claims. Ian can advise on and represent professionals facing disciplinary hearings or registration problems in all areas but especially the GMC/GDC/NMC. Ian is very happy to accept direct access work in this area - especially in fitness to practice issues. Ian accepts instructions for both Applicants and Respondents. Work undertaken includes Unfair Dismissals and Redundancy including jurisdictional points and all forms of Discrimination with particular experience in disability discrimination. He appears regularly in the EAT and is able to undertake appeals where not acting at first instance. Ian is also experienced in mediation in this area. Ian believes that many advocates tend to settle employment cases too readily on the day of the final hearing and, whilst settlement can often be the best outcome for the client, a better settlement or result can often ensue if a robust line is taken at the hearing. Ian now has a recognised costs practice and regularly lectures and advises on the subject. He is knowledgeable in relation to issues regarding the validity of retainers and CFA’s, as well as frequently acting for either paying or receiving parties in detailed assessments and in appeals on costs matters including wasted costs and split costs orders. Ian is very happy to represent clients in the SCCO in London and he produces a regular ‘Costs Bulletin’. If you would like to receive this then please contact his clerks and these will be emailed to you. Having costs expertise gives Ian an edge in his general trial work when costs are summarily assessed and can make a great deal of difference to the net end result for both lay clients and solicitors. I just wanted to follow up from yesterday's training that Ian Skeate kindly came and provided [on Industrial Disease claims]. The feedback from the guys here that attended was fantastic. They were all very impressed and feel that it was extremely beneficial and that they learnt so much from Ian. How to Run A Deafness Case From A-Z (+ HAVS/VWF add-on if required) - 2-3 Hours. Outside of these key areas of law, Ian Skeate (2002) is always willing to consider any enquiry requiring the experience or knowledge needed to help you or your client. Please call Ian direct or the support team on 01823 247 247 if you would like to discuss any aspect of this profile. QADER & OTHERS V ESURE SERVICES LIMITED  EWHC B18 (TCC) (Current citation is wrong as this was an appeal in the County Court). Appeal as to whether Fixed Recoverable Costs apply to multi-track cases that started in the MOJ low value portal. Dr. G, a foreign qualified doctor, had successfully completed IElLTS, PLAB 1 & 2 and applied for provisional registration with the GMC prior to starting her Foundation Year. However, she had been given a conditional discharge on 4 counts of falsely obtaining benefits under s.112 of the Social Security Administration Act 1992. Despite there being considerable mitigating circumstances and her declaring this on her application the GMC refused her application on the grounds that her fitness to practice was impaired. 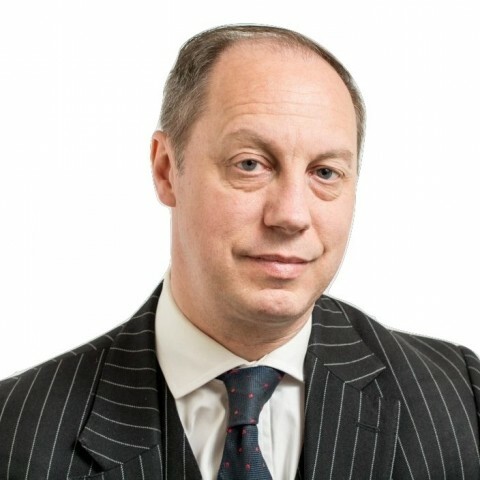 Ian handled all aspects of the appeal and successfully argued that the conditional discharges were not 'convictions' thus fatally undermining the Assistant Registrar's decision. The GMC re-considered the decision without the need for an appeal hearing and granted Dr G provisional registration without conditions. A local authority's decision not to renew the lease of premises occupied by a firm of solicitors which represented claimants bringing claims against the local authority was vitiated by the improper exercise of discretion. The decision had not been based on a rational assessment of the relevant considerations, but had been motivated solely by retaliation against the tenant for perceived damage to the local authority's financial interests. High value PTSD case for a civilian electrical contractor embedded with the British Army in Iraq. Issues included the application or otherwise of the Compensation Act 2006 as well as complex issues of duty of care for stress at work involving the interaction between the military and specialised sub-contractors in a war zone environment. A further case where the Defendant's reliance on the Compensation Act 2006 to avoid a duty of care was successfully rebutted. A school was held liable for failing to supervise a disabled pupil at a para-athlete event resulting in personal injury. 3 day trial of the same Claimant involved in 2 separate car crashes, each defended on the basis of fraud – each Defendant independently of the other claimed deliberate slam on and queried the identity of the Claimants alleging phantom passengers. Both claims fully successful and all allegations of fraud dismissed. Guidance on the effect on legitimate heads of claim of putting forward some dishonest heads. Counsel to GNER in the Selby Rail Disaster Inquest 2002.